A renegade Congolese colonel who threatened to depose President Joseph Kabila was extradited from Tanzania and will be prosecuted for rebellion, Congo’s defence minister told Reuters. In a video circulated on social media last month, John Tshibangu, who was based in the east of Democratic Republic of Congo (DRC), gave the president a 45-day ultimatum to leave or “we are going to take Kabila down”. Tshibangu was detained by authorities in Tanzania towards the end of last month. “John Tshibangu is in Kinshasa. We are going to leave him to face justice for rebellion, a crime catered for and punished by the Congolese penal code,” Defence Minister Crispin Atama Tabe told Reuters by text message. Tshibangu was a military commander in the central Congolese region Kasai. 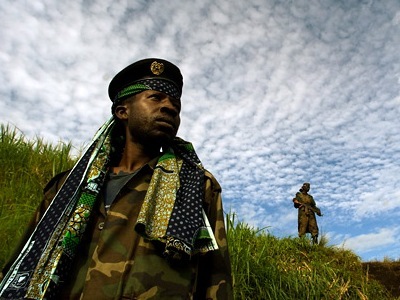 He defected in 2012 and moved to the lawless east, long a haunt of would-be Congolese rebels. Kabila’s refusal to step down when his term expired in December 2016 has emboldened several armed groups, fuelling violence and raising the prospect of the vast, mineral-rich nation sliding back into the kind of wars that killed millions in the 1990s, mostly from hunger and disease.